Those pesky Germans and their classic symphonic wily ways. German Metal band G.L.A.S.S. has only one release, their eponymous 2013 album ‘Giving Life a Secret Story‘. A wondrous Prog Symphonic Metal collection brimming with exquisite musicianship, mind-numbingly intricate arrangements, and abundant riff heavy hooks. Sometimes one must travel back in time to discover something new. The beautiful elvish voice of Katy aus dem Spring swims between opera and eclectic alternative. Perfectly empowering the stellar Axes of Manus Magi, the synth sweep of Steffen Braune, Constantin Dorsch’s Violin, and the jazz-tight rhythms of Hans Thieme (Bass) and Arne Fleischhut (Drums). Without limitations these ten scintillating songs dive in and out of genre with ferocity. Think of Symphonic legends NIGHTWISH performing brilliant Avant-garde instead. Stand-aboves include Operatic Riff monster opener “Ancient Rising“, Symphonic anthem “Oceandeep“, sprightly Teutonic Folkster “Galgenlied“, and the Pop Metal of “Dance“. Closing on Prog masterpiece “Soul in Pain” and its bottomless guitar histrionics. Purely amazing stuff. Apparently G.L.A.S.S. 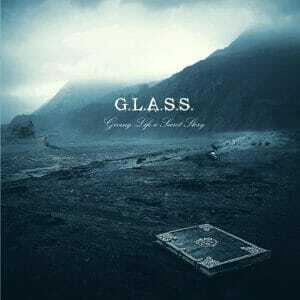 (or GLASS) are still beating around the German indie circuit. Hopefully, there’s a new album someday. Until then, 2013’s ‘Giving Life a Secret Story‘ will have to suffice. Thankfully, it’s one of the better Metal albums I’ve heard. You owe it to yourself to check it out. 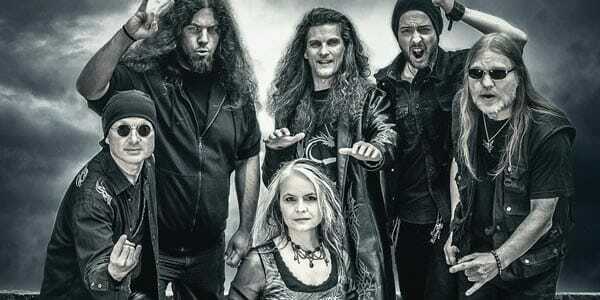 Spinning Avant-garde quirk into Symphonic Metal sweep adds that extra special something. With solid musicianship, songcraft, and production.